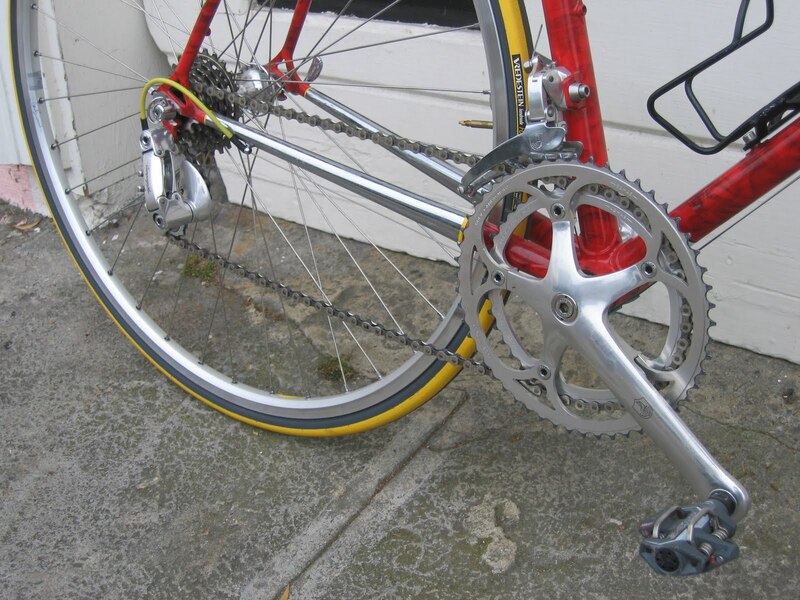 A close up of the chromed out drive train. The first outing was to the July 19th Sunday streets in the mission, which was basically a cluster of people and riding a bike was almost impossible (although the caravan of Xtracycles transporting the portable dance party was pretty phenomenal). The second outing was a short loop around town to work, to show off the bike, and across the bridge. The first proper ride was yesterday. 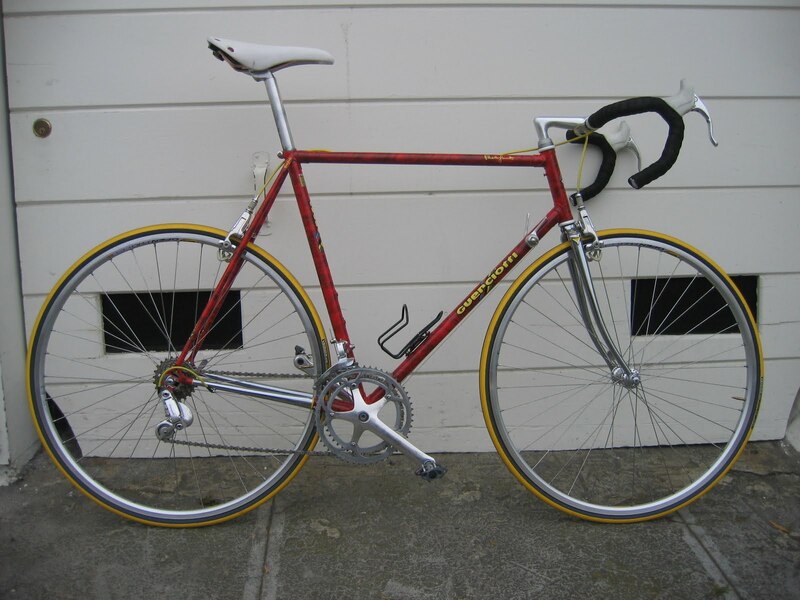 I had originally planned to do a ride of the headlands loop and paradise loop, but when I ran into Danno and all the Mission Cycling folks waiting to depart at the bridge, and I was convinced to do their ride: SF to the Cheese Factory. About 80 miles all told. 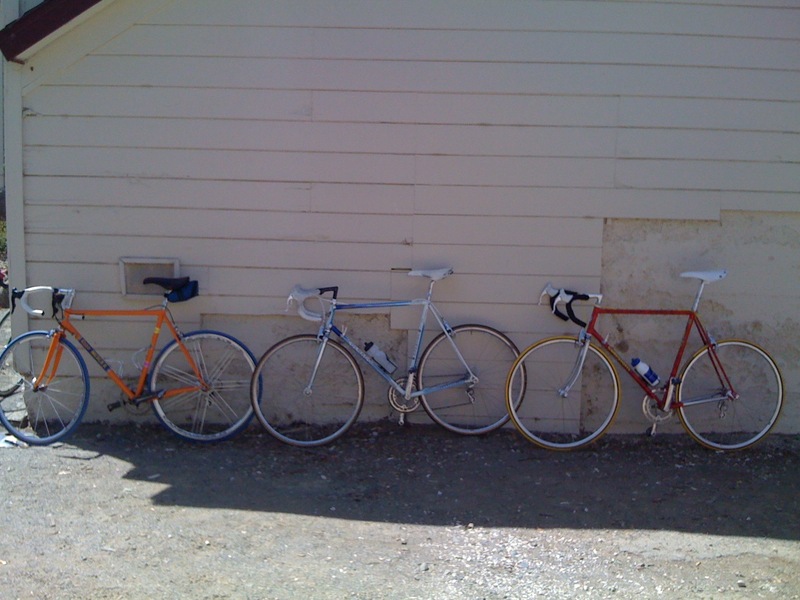 Some nice vintage steel — an Eddie Merckx, a Colnago, and a Guerciotti. Steel is real. Beautiful. Here’s the line of mission cyclers on our way back. I’m the jerk in the back without the cycling jersey and the backpack full of random tools in case something on the G-star decides to explode. You are currently browsing the archives for the maiden voyage category.